What to do this Valentine's Day! 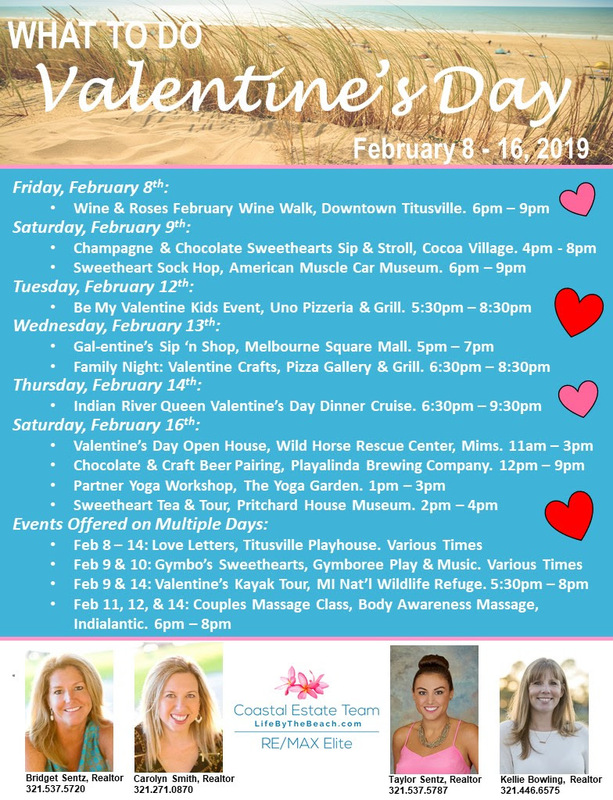 Brevard County has tons of great restaurants offering special Valentine's Day menus, but if you're looking for something more to do, we've got some ideas! If you have any questions or need anything, please reach out to us!